The Hamilton Jazzmaster Chrono with 7750 movement and sapphire crystal, is comparable to a IWC Portuguese chronograph with its 42mm stainless steel case, the IWC has the same base movement as the Hamilton and is four times the price. Granted the IWC is a world renown name, you pay for the marketing. Hamilton is on the mark with its styling and most important its price point. The value is incomparable in any other watch brand. Another example of styling quality and value would be the Alpina line of Extreme watches. 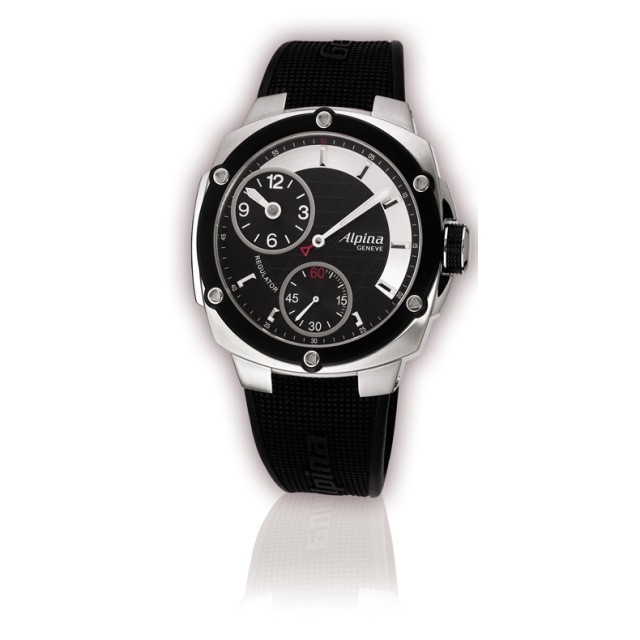 Comparable to the Hublot Big Bang, these 48mm timepieces exude the fashion and style of today's large sporty watches. Sapphire crystals excellent attention to finishing and detail, Alpina prices are a fraction to so many watch brands in the high-end market. The Alpina Extreme Regulator with its Unitas 6497 modified regulator movement. So many watch companies use this base movement as a regular three hand watch with manual wind. Panerai had it in there incredibly saught after 1950 and Militare watches are at a whopping 10 times the price of the Alpina, which is not even a regulator, with the hour, minute, and second hands independent of one another, which is considered quite a large complication in the world of mechanical watches. There is a wide range of prices and styles that could satisfy any budget, as long as it turns your crank, you don't have to break the bank.